1. Brush both sides of the bread slices with olive oil. 2. Grill until grill marks are formed on a preheated grill for 2 minutes on each side. 3. Rub the garlic on both sides of the toasted bread. 4. Sprinkle salt on top. 5. If desired, sprinkle chopped thyme leaves and oregano on the bread. 6. 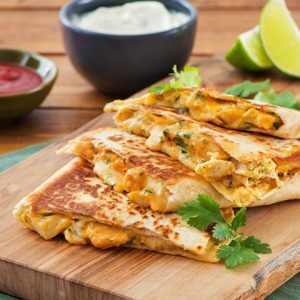 Serve as a snack or as an accompaniment. 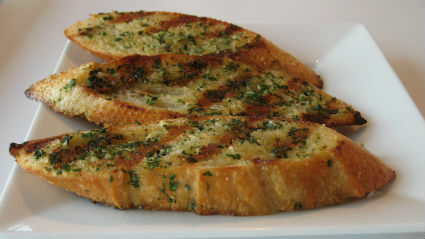 Feel free to comment or share your thoughts on this Grilled Garlic Bread Recipe from Awesome Cuisine.